The Gibson® Les Paul® Pre-wired Replacement Set includes PAF® 36th Anniversary, PAF® 36th Anniversary Bridge (F-spaced), and a complete wiring harness featuring solderless installation. A great vintage humbucker is defined by a soft magnetic field, sweet tone, perfect balance between warmth and clarity and the ability to go from clean to distorted by pick attack alone. We've re-engineered the PAF® using our patented technology to duplicate the weaker magnetic field which allows the strings to vibrate longer, as well as focus and articulate the attack and output. We use computer-controlled winders to consistently layer the 42-gauge custom-coated wire, achieving the exact frequency response we want. 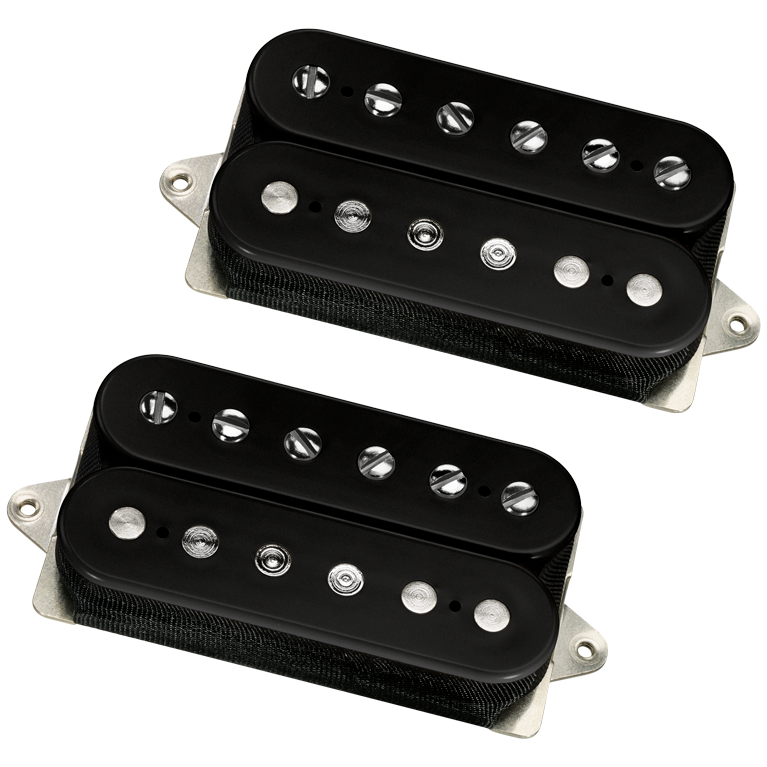 Then we dip the PAF® 36th Anniversary pickups in our custom formula to eliminate squeal and microphonics. The DiMarzio® Vintage Gibson® Les Paul® Replacement Pickup Set has all you need to convert your Gibson® Les Paul® or similar guitar into a classic.